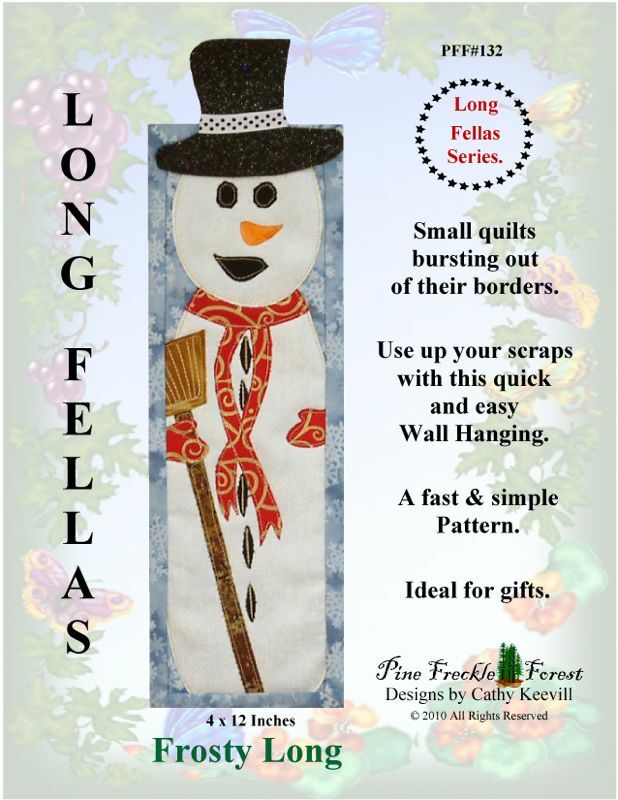 Frosty Long is part of the Long Fellas Series. Small quilts bursting out of their borders. Use up your scraps with this quick and easy Wall Hanging. 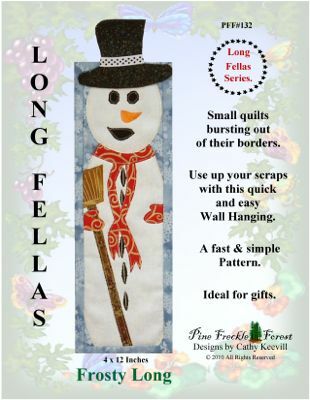 A fast & simple pattern. Ideal for gifts. Finished Size – 4 X 12 inches.